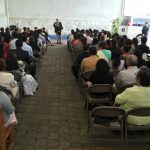 Our 14th Church Anniversary In Our New Building! To all who have been praying for us for a new place for our church, thank you! We finally bought a property for our church that is a little more than three times the size of our former church! 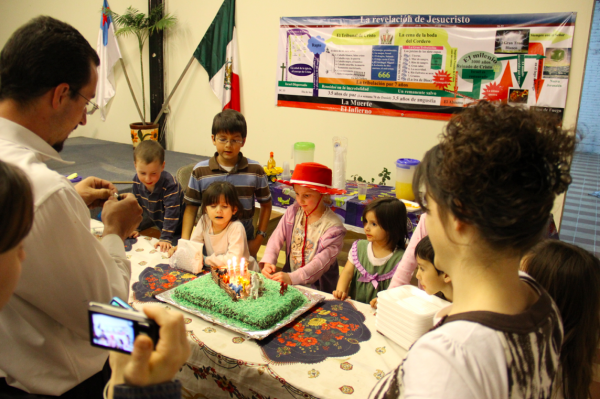 We moved last Friday and on Sunday we celebrated our 14th church anniversary in our new building! We are so thrilled and excited about our new place and to God be the glory! Our new place has 8,600 square feet of land with an included warehouse (3,500 sq. ft.), three extra rooms, fitted with a woman’s and man’s bathroom! Near the main road and just one mile north of where we used to be. Plus, it’s right next to a bus stop, RUTA, which is the public transportation for the people of Puebla. We had 195 people that attended our anniversary and at least two people saved! We invited Bro. 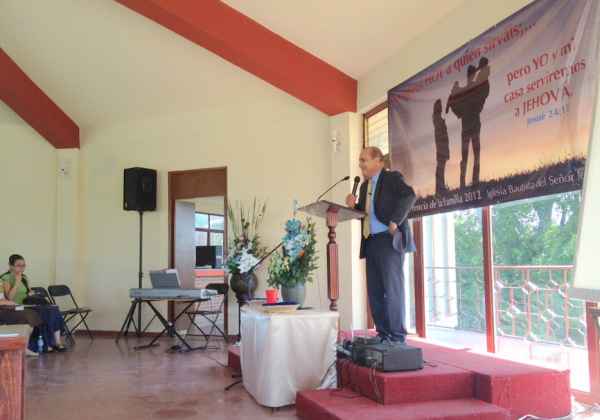 Ron Goodman, missionary in Morelia, Michoacan, to come and preach during this special event. We were encouraged by the preaching and the tremendous amount of enthusiasm that the people had for this first Sunday in our new place! We also had our first baptism in this place. 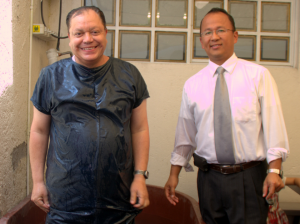 We are looking forward to build a baptistry, since all we have for baptisms right now is a big tub. Please help us to pray so that we can sell our previous church as soon as possible. We gave 30% of the value of the property and we need to pay the rest within three months! We know God will provide and that we just need to take a step of faith! and faith right now is all we have. Our finances are low, but our spirits are high! 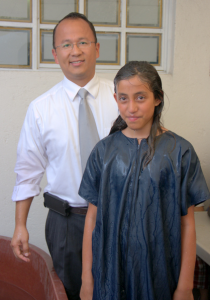 Not too long ago, missionary-par-exellence in Mexico City Kevin Wynne, said to me… “Arturo, I am mad at you. Because, I believe God can use you to run 1,000 people in your church!” Well, this place, might not help us to run one thousand in church, but is a step in the right direction. I believe that we can very well grow to 400-500 people here. 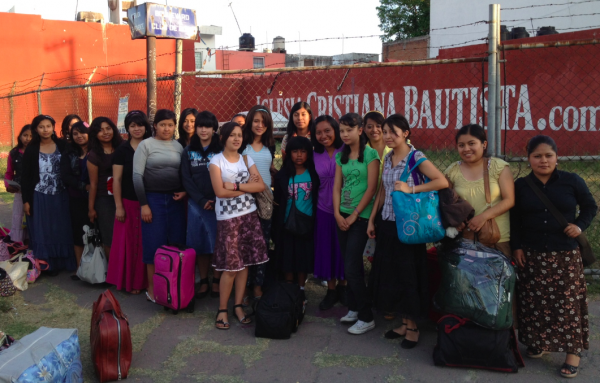 And, by the way, we are not here in Puebla to “run” a big church, but to reach as many people as we can! Eight years ago, when we bought our first building, I told our church not to get “used” to the new building, because it was only provisional — while we “finally” settle in what God has for us. Last Sunday, I told our church the same words. I believe God has something bigger than this, and we are not going to get “used” to it, but do everything we possibly can, while we can. Thank you again for praying; now, lets win some souls! 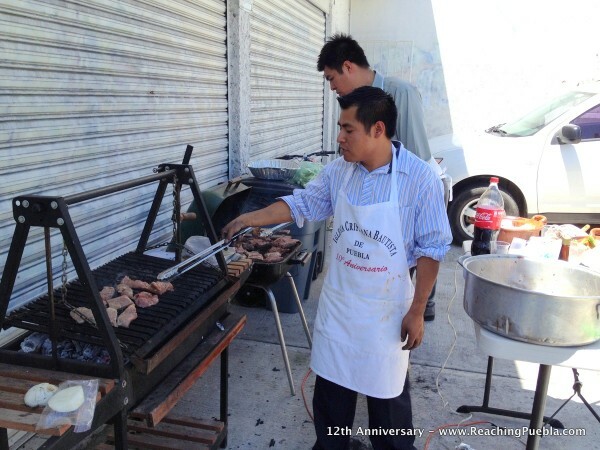 12th Anniversary of our Church! 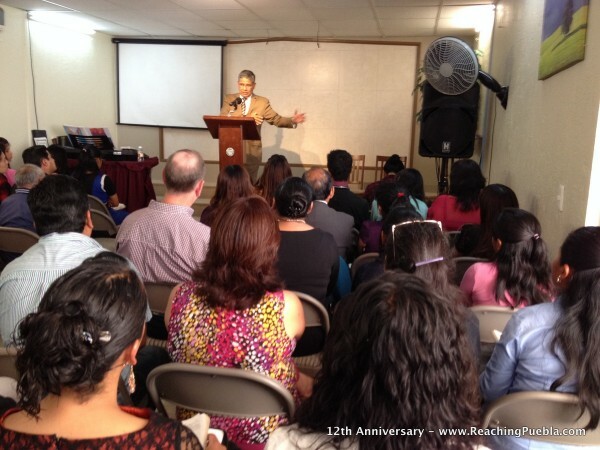 Praise the Lord, we had an amazing 12th anniversary of our church here in Puebla! We had 149 people attending, 4 of them were first time visitors. 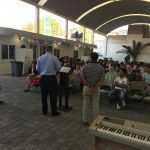 Pastor David Cortés from Open Door Baptist Church in Tijuana, Baja California was our guest speaker. He preached for our anniversary, and also for our Family Conference that we had during the same time. Every year we have premium stakes for our anniversary! For our youth camp this week. We are expecting to have 70 young people from churches around the area. For them to make good decisions. We had a good day yesterday. People showed up early for Sunday School. 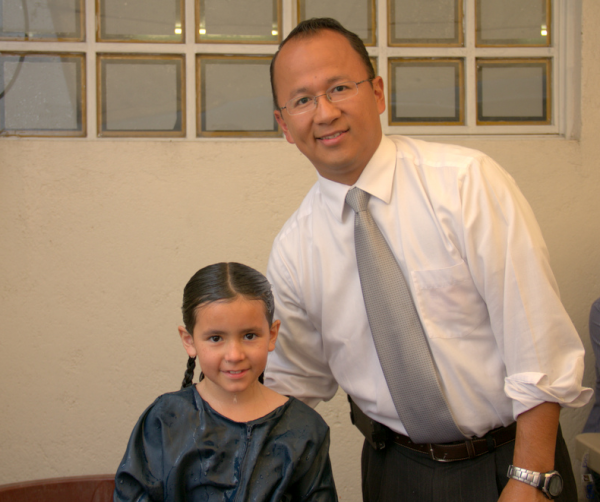 We had six first time visitors and three people got baptized! 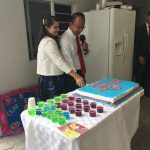 One of the first time visitors is the daughter of a faithful family that have been coming to our church for the last two years — Juventino and his wife. Her name is Rosio del Carmen. She brought her two children, ages 10 and 7. Brother Juventino and his wife were thrilled to see their daughter in church because they have been praying for her to come since they arrived to our church and got saved. Their daughter came back again to our church for the Sunday night service. Please pray for her, that she will continue to come and grow in Christ. Please help us to pray for a bigger place for us to meet. The building that we have right now is small for our church and we need a bigger place. I just placed two phone calls to ask about two building near our church. One of them has 8,000 sq. ft of land with 5,300 sq. ft of what used to be a warehouse for 12 million pesos — about 1 million dollars!!! This building is three blocks from our church on the same street. I forgot how expensive Puebla is! Specially the area were we are. This only tells me that if we are to get a bigger place for our church, then it will be God who will provide, and only God can do a miracle for us. Thank you for your prayers and God bless you! This week was a busy week. 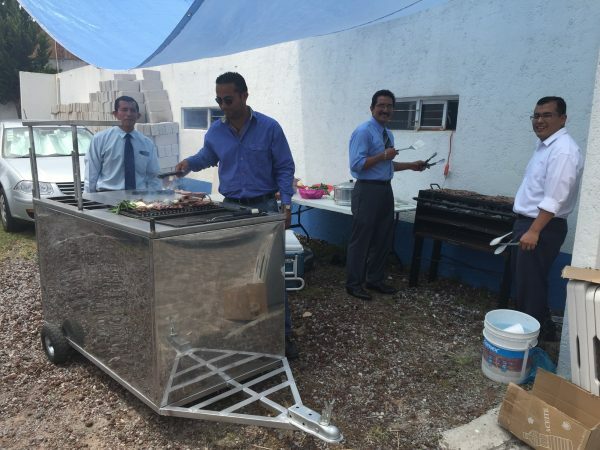 Monday and Tuesday we went to a Family Conference in Cuautla, Morelos. 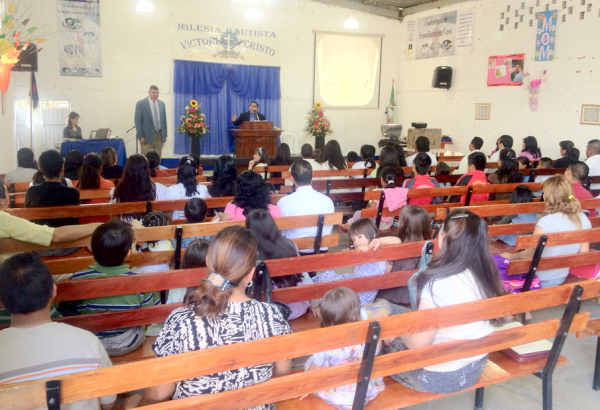 Brother Peter Duke is the Pastor of “Iglesia Bautista del Señor Jesús” in Cuautla, Morelos, which is a little over an hour south-west from Puebla. 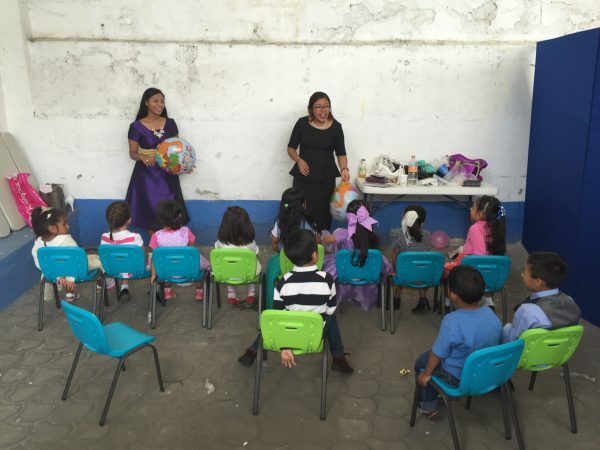 The first day we took 25 people from our church and the mission church, and the second day we took 30. 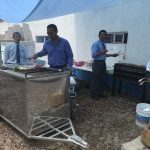 The guest speakers were Brother Tommy Ashcraft from Monterrey, NL; Brother Luis Ramos from San Luis Potosi, and Brother Kevyn Wynne from Mexico City. It was a blessing and an encouragement to see this church that is about three years old holding a conference like this one. 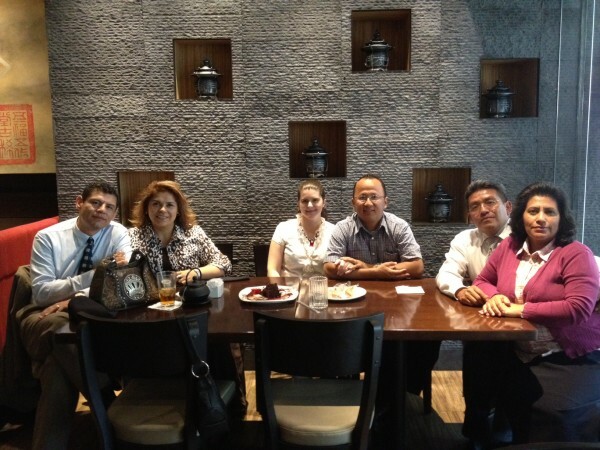 Friday and Saturday we were in another conference in Querétaro. Brother Steve Miller invited me to preach in his first Homeschooling Conference at his church. Many families from different states came to the meeting. Some as far as Saltillo, Coahuila, which is 8-9 hours north of Querétaro. 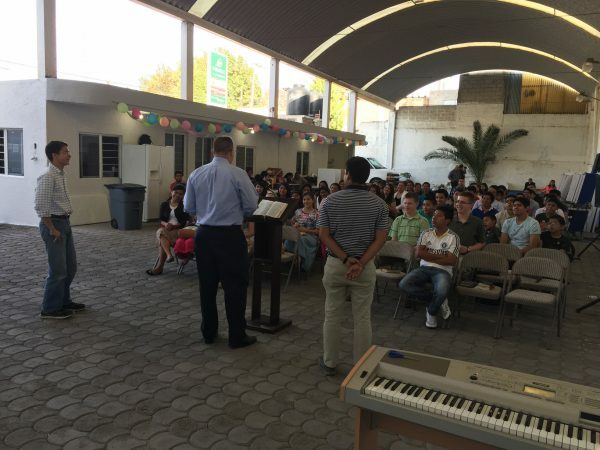 Brother Miller (who also graduated from Oklahoma Baptist College) is doing a tremendous work in the east part of the city of Querétaro. 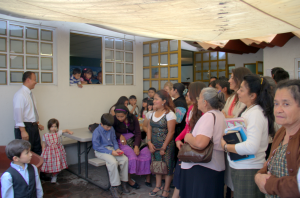 His vision is to help Mexican families understand the very need to homeschool their kids. We do homeschooling and that is one of the reasons he asked me to preach during the conference. Another two men from his church thought with more detail about homeschooling. I left the conference with two words in mind: Protect and persevere. We need to protect our kids from public schools and persevere in teaching them the Word of God. 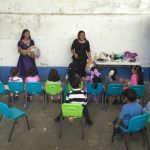 Today we celebrated ¨Día del Niño” in our church (Kid’s day.) We had a big cake, toys, a puppets show, clowns, pizza, a piñata and much candy! Our daughter Rachel invited our neighbors and they came! Dad, mom and their two kids. 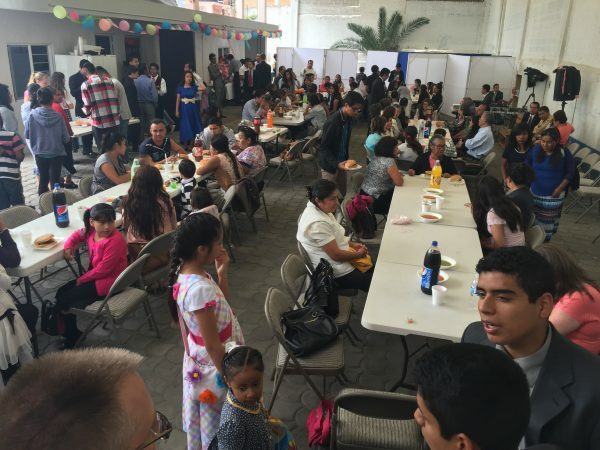 (It is very difficult in Puebla have neighbors come to our church because people in Puebla are very private.) So… we were very excited to see our neighbors come to church. 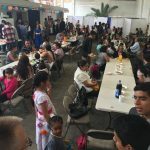 We had 153 people in attendance, 11 first time visitors and 2 people saved!Thank you for your prayer for our ministry here in Puebla. Today We Started Our Spring Program! We praise the Lord for the 10 first time visitors that we had today! I don’t know yet how many of them got saved, but at least two of them. 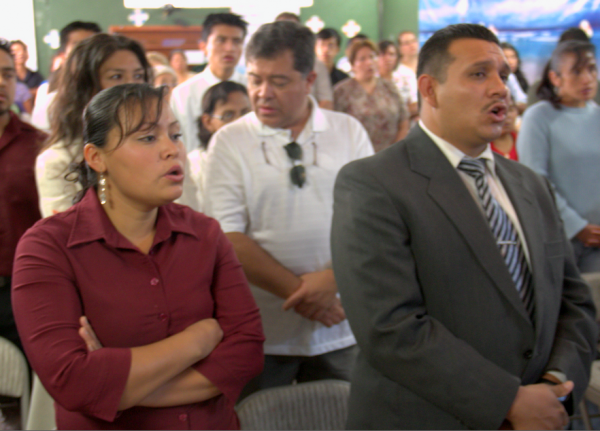 Today we started our spring program to invite people to our church. We have a competition to see who brings the most visitors between the men and the women of our church. We are giving a small first gift to those who bring their first visitor. After that, the next award is for those that bring 5 visitors and then a bigger gift for those that bring 10 visitors. The Spring Program will last for 7 weeks. Which will end right before our Big Annual Conference in May. This year we have invited Bro. 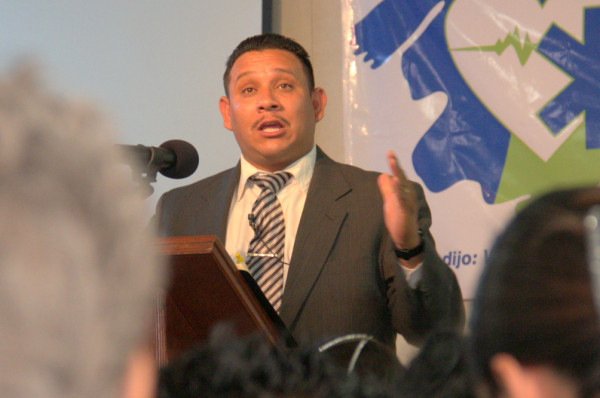 Luis Ramos from San Luis Potosí, Bro. 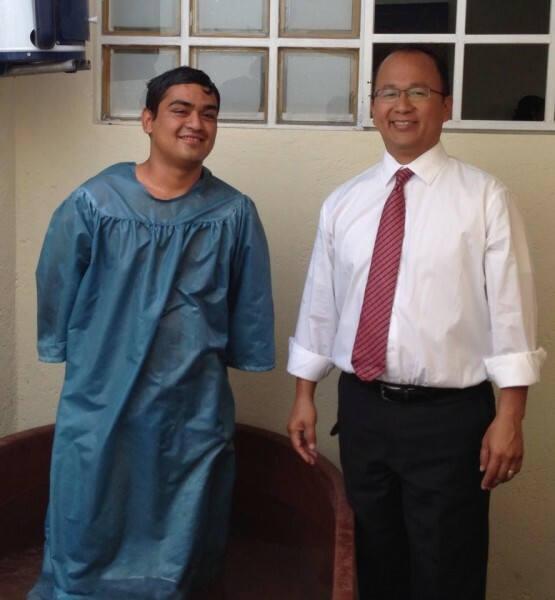 Luis Parada from Long Beach, CA, Bro. Alejandro Córdova from Celaya, GTO, and Bro. Ezequiel Salazar from Ontario, CA. Please pray that this conference will be a blessing to the preachers, pastors and missionaries in the area, as well as the people from the different churches around Puebla. This last Friday I receive a phone call from Bro. 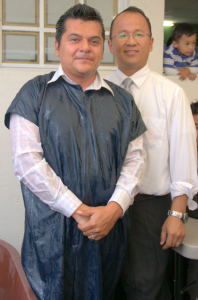 Manuel Garcia, a current Pastor in Guaymas, SON. 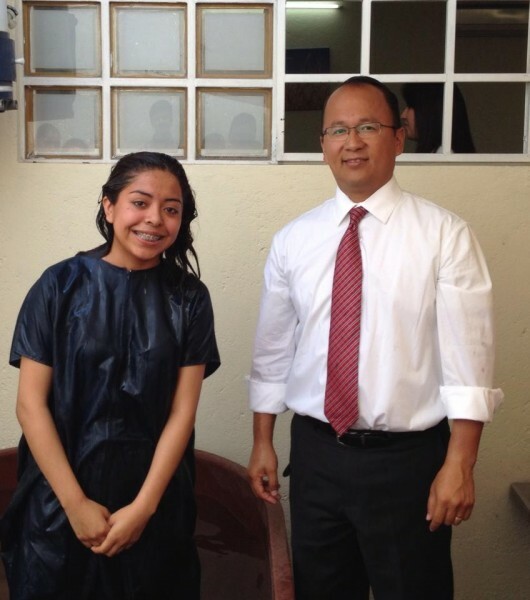 He said that he has been praying to come to Puebla as a missionary. 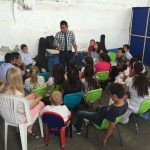 I mentioned to him that we are also praying to start our second mission church here in Puebla in the west side of our city. (About 6 month ago we had a married couples meeting in an area names Tres Cruces ‘three crosses’ and God laid in my hart to start praying for this needed area. About 500,000 people live in the area of our city still unreached. Puebla has over two million people right now!) So, I mentioned all of this to Bro. Garcia and he got all excited about coming to Puebla. He is visiting us for a survey trip next month. 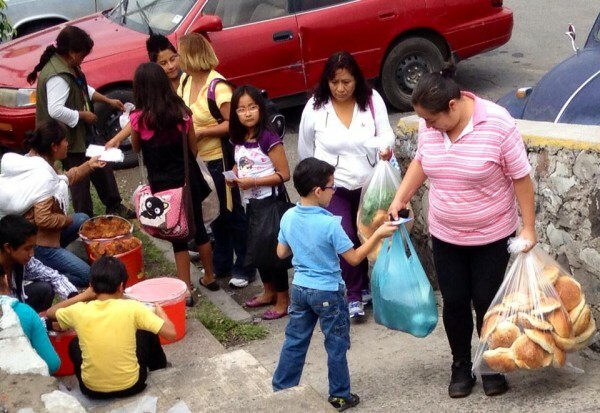 We would like to help him to start a church here in Puebla, but we can only help with about $30 or $40 dollars a week. God has also laid in my heart to start one mission church a year here in the city for the following ten years. Please pray for this project. 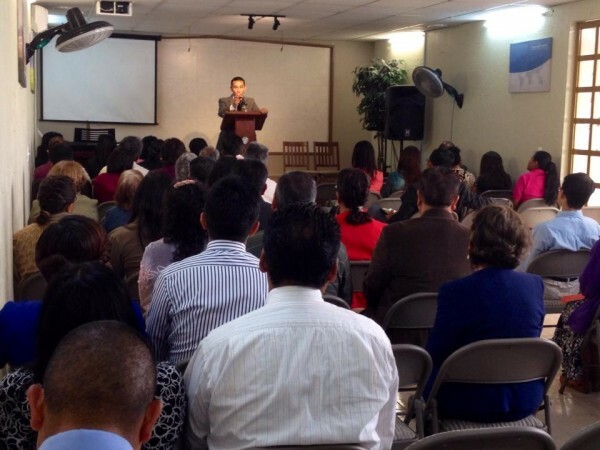 Maybe God can use you to come and start a church with us and be a blessing to the people of Puebla. 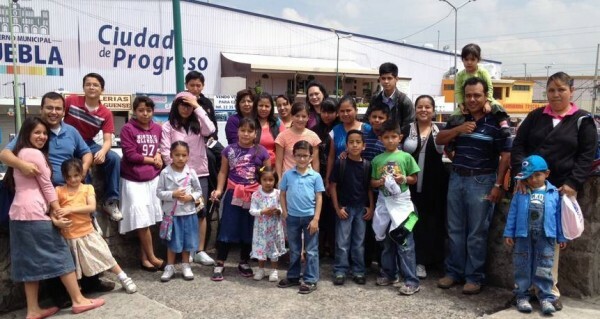 My desire is to see dozens if not hundreds of churches that reach the lost here in Puebla. If you would like to commit to help Bro. 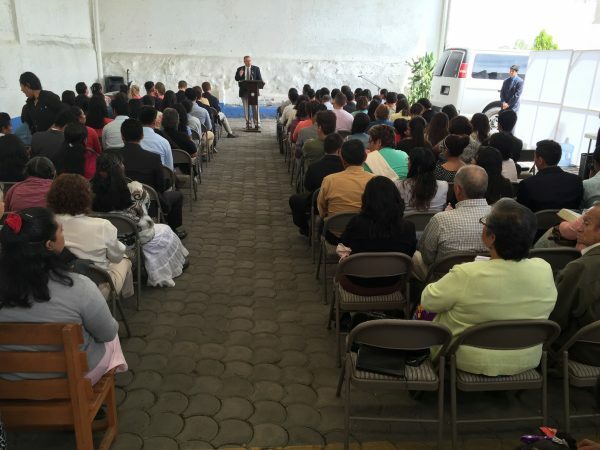 Garcia start a church here in Puebla, let me know. I know that were are going to need money to rent a building. Buy some chairs. Get a projector for him and speakers and mics. Maybe you can even pray to buy him a car. I am serious! While he was in Guymas, he said that many churches in the States donated vans for him so he could pick up people to bring to church. He said that he is not bringing any of the vans because they are needed in the church that he started 10 years ago. What a blessing. Last Saturday we were invited by Bro. 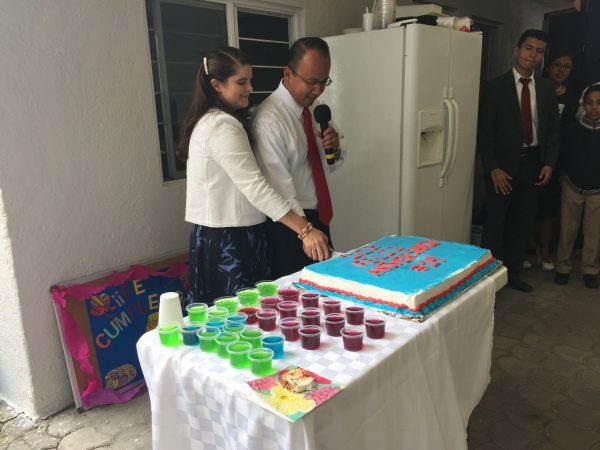 Tim Aguiar –our friend here in Puebla — we need more friends like him 🙂 –for his daughter’s birthday. We also met Bro. Dale Aguiar for the second time. He is preaching in Bro. Tim’s church this Monday and Tuesday. We are taking our church over to hear Bro. Dale preach and I know it will be a blessing. 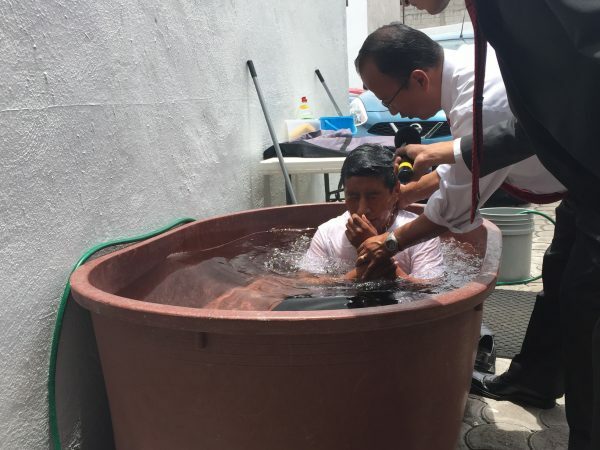 It was a blessing to hear him preach in our church about a year and a half ago before his son started his own church in the East side of Puebla. Last week we also had two architects come and see our church to give us an estimate to know how much will take us to expand our church auditorium. 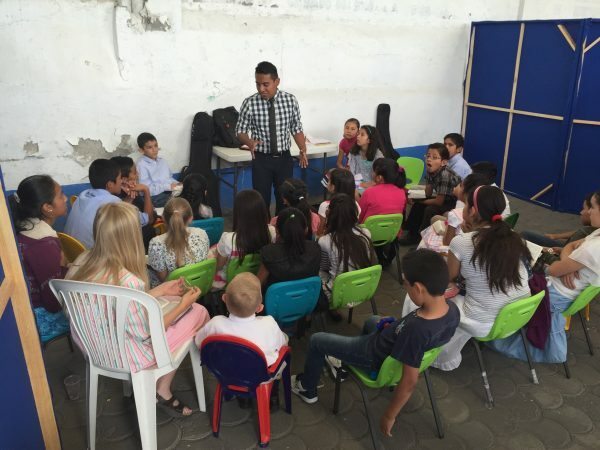 Right now we can only fit 90 people and every Sunday we had to put chairs in the aisles and outside the auditorium. Please keep us in your prayers as we wait and see how God direct us in doing this. We are expecting two more architects this week to come and give us estimates also. We have saved some money, but we still don’t know if it will be enough. If you know of anyone in the States that ships Bibles to Mexico let me know. Lately, we have had many people in our church asking us for Bibles. We need about 50 Bibles right now to give away. People want Bibles but for many of them they are too expensive. If you can donate some Bibles to us, that will be a blessing.